in one of the colleges and be able to complete at least 6 college credits each semester. The scholarship award may be used for tuition, books, fees and equipment required for course work. The value of the scholarship is $2500 for one year, $1250 per semester. Applications must be submitted by email to janesville_scholarship@zontadistrict6.org by May 1, 2019. Around the world, International Women’s Day is celebrated in March to honor the achievements of women. The Zonta Club of Janesville is hosting our 27th annual luncheon which will take place March 15, 2019 at the Armory. 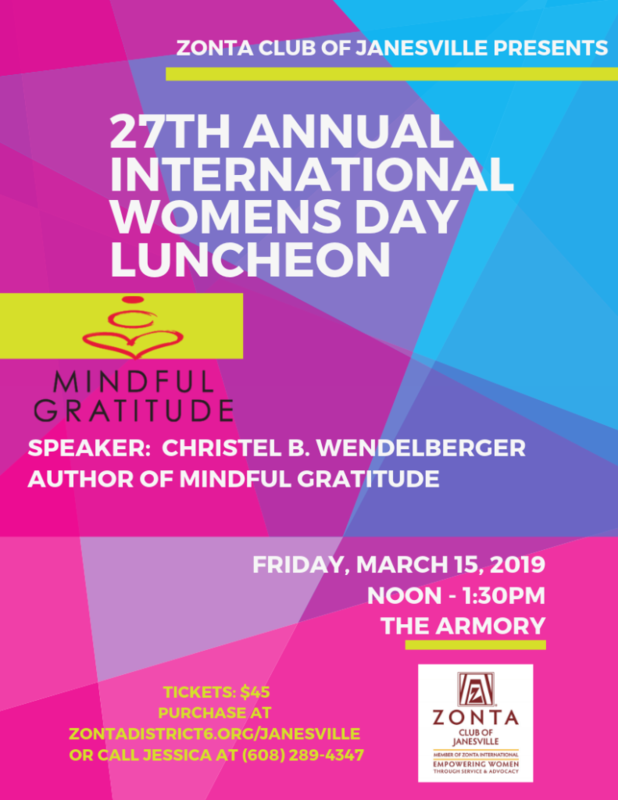 Christel Wendelberger, Mindful Gratitude author and workshop creator, is our keynote speaker. The Zonta Club of Janesville will also be presenting Sue Conley with an award recognizing her outstanding commitment to empowering women. Tickets are available online for $45 with a processing fee. Tickets may also be purchased by calling Jessica at (608) 289-4347. No fee for tickets purchased with cash or check. Zonta International is a global organization of professionals working together to empower women worldwide through service and advocacy. 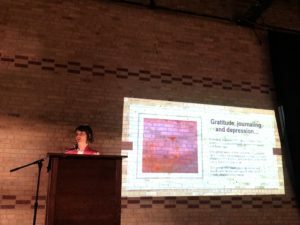 Funds raised through this luncheon are used to support “Women With a Vision”, a program that supports single mothers who are enrolled at BTC and UW-Rock County. Zonta Club of Janesville also provides funding to Edgerton Community Outreach, ECHO, the YWCA of Rock County, and Zonta International programs for service and education. 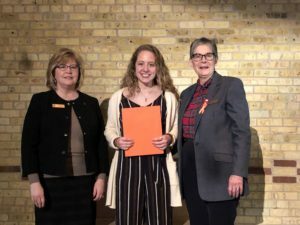 This scholarship is awarded to a woman who is a single mother, residing in Rock County, who is pursuing completion of a degree at Blackhawk Technical College or the University of Wisconsin-Whitewater at Rock County that will empower her to attain employment that provides a family-sustaining income. The applicant must have earned at least 12 college credits and must be able to maintain a GPA of at least 2.75. She must be currently enrolled in one of the colleges and be able to complete at least 6 college credits each semester. Applications must be submitted through a Zonta Club. Applications for the Zonta Club of Janesville are due to Linda Reinhardt (lindacreinhardt@gmail.com) by June 1, 2018. 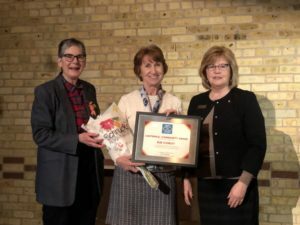 The Zonta Club of Janesville makes an award to an outstanding woman in our area who is preparing for a career in business, and forwards her application for consideration for additional awards at the District and International levels. The Zonta Club of Janesville is a club of Zonta International, a leading global organization of professionals empowering women worldwide through service and advocacy. The Jane M. Klausman Women in Business Scholarship is one of many programs for women and girls sponsored by Zonta International. The Scholarships are funded by voluntary contributions to the Zonta International Foundation.